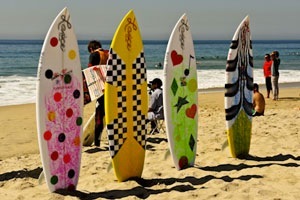 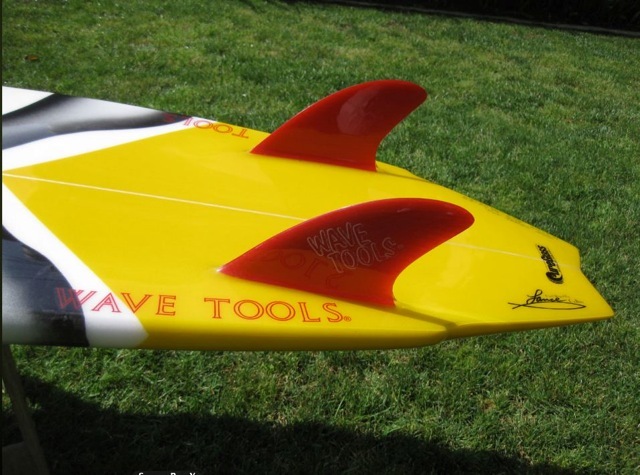 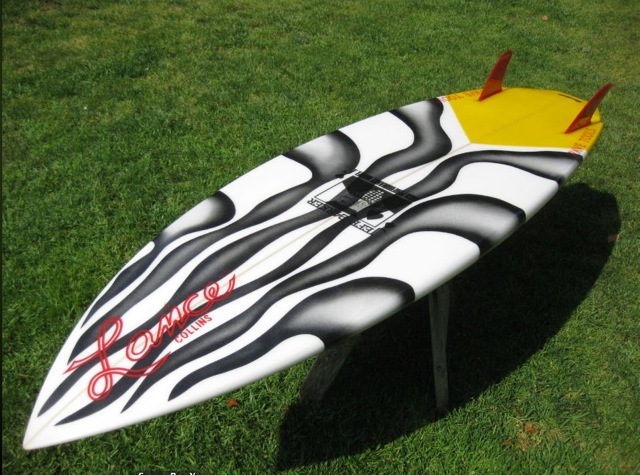 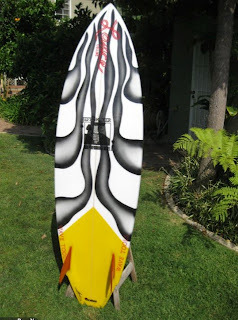 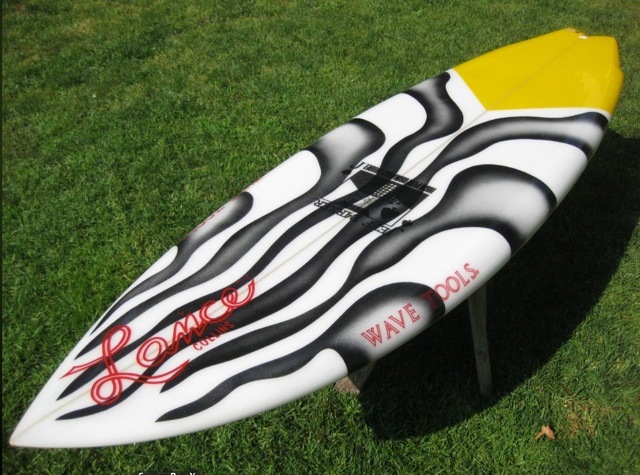 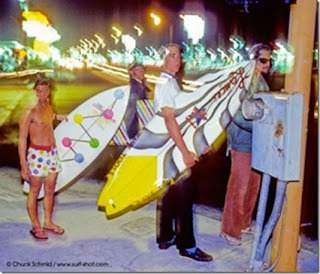 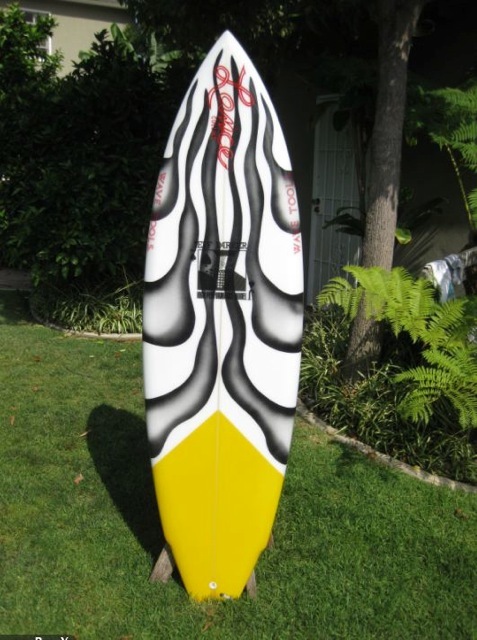 My current obsession with Wave Tools twin fins deepens with this latest offering from my mysterious 'friend in LA'. 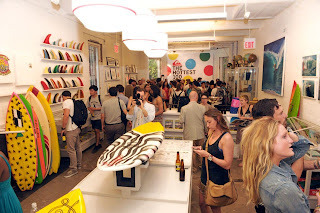 It seems he too was lurking around the Wave Tools factory as they were pulling boards together for the Hottest 100 yards exhibition / launch in NYC and was able to tag on an order for a reproduction of jeff Parkers now famous Zebra model, Lance Collins shaped, single fly swallow tail, semi keel fin, twin fin. 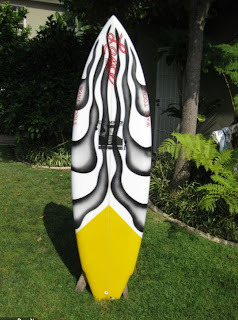 Jeff Parker logos on an obvious Preston Murray model? 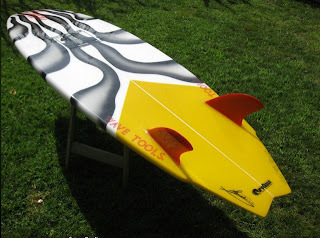 Kook!